Cutting down on the amount of paper files you use, either in a home office or a place of work, can bring a lot of advantages: saved space, better security, and instantly searchable documents, to start with. 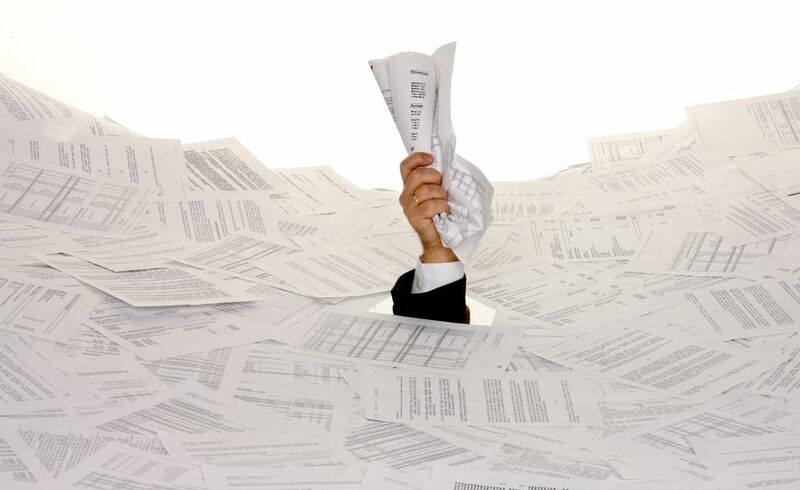 Here are 9 easy tips to help you dramatically cut down on paper files cluttering your office. An easy way to rid yourself of paper piles is to pay bills online. This also makes it easy to track payments, and is a secure and quick way to handle billing. Services like Traveling Mailbox and Earth Class Mail provide a physical street address that’s yours alone, but scan your mail and send you images so that you don’t have to handle any paper. You then have the option of saving or shredding each piece of mail. A virtual mailbox can work for bills and statements, and will also help you avoid junk mail – virtual mailrooms automatically remove it. Even if you have switched to digital billing, anyone who has your address can still sell it to marketers, so this is a good way to guarantee you don’t get bogged down in junk mail. While many printers come with scanning ability, it’s worth investing in a good document scanner like the Fujitsu ScanSnap ix500 (about $450 on Amazon). A stand-alone scanner designed for documents (rather than pictures) will quickly scan stacks of pages, handle double-sided documents, and can auto-detect when pages are stuck. Many high quality scanners also include Optical Character Recognition (OCR), which makes all the typed text in your scanned files searchable. Along with a scanner, it’s also worth considering a shredder – once you’ve scanned and uploaded your documents, you can shred any sensitive documents and safely dispose of them. 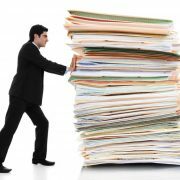 If you’ve got a large volume of paper that you want digitized, you may need to consider a professional to convert your files. Digital scanning vendors typically charge per page or per image, and convert your files into an electronic format. That may be a pdf, TIFF, or jpeg. Some providers also offer OCR to help you search your scanned files. Using a service like Adobe Sign or Docusign lets you add your signature to electronic documents without printing them out. Aside from saving paper, using an esignature cuts down on printing costs and can dramatically cut down on the amount of time it takes to get documents signed and returned. Sometimes you have receipts that you’ll need to save, whether for tax purposes, to record charitable donations, or for large purchases under warranty. Getting a scanner on your smartphone allows you to quickly save those receipts in the cloud and not worry about losing them or hunting them down later. If you already use a service like Dropbox or Evernote to store files, you can use the scanning apps they provide and save the receipts into those apps. Dropbox’s scanning function is built right into its app, whereas Evernote has a companion app called Scannable that will scan items directly into Evernote. Even if you don’t use Evernote, Scannable is a great standalone solution. Services like Microsoft’s OneNote, Evernote, or the built-in notes apps in Android and iOS can help you cut down on the amount of paper you use and automatically keep all your notes in one place. Not only will you escape the piles of sticky notes, those online notes are backed up to the cloud and searchable, in case you can’t remember where you saved something. Rather than creating handouts to pass around during meetings, display presentations on a screen – or hold your meeting virtually. You can always email copies of your slides or documents after the meeting. For those that fax, this is one of the simplest and most cost-effective ways to cut down on paper. You won’t have to rely on a physical machine anymore, and will be able to send and receive faxes anywhere, at anytime. Some online fax providers also include smartphone apps that let you scan, send, or receive faxes on your phone without going into your email. Use the FaxCompare comparison chart to quickly find the service that best meets you needs.